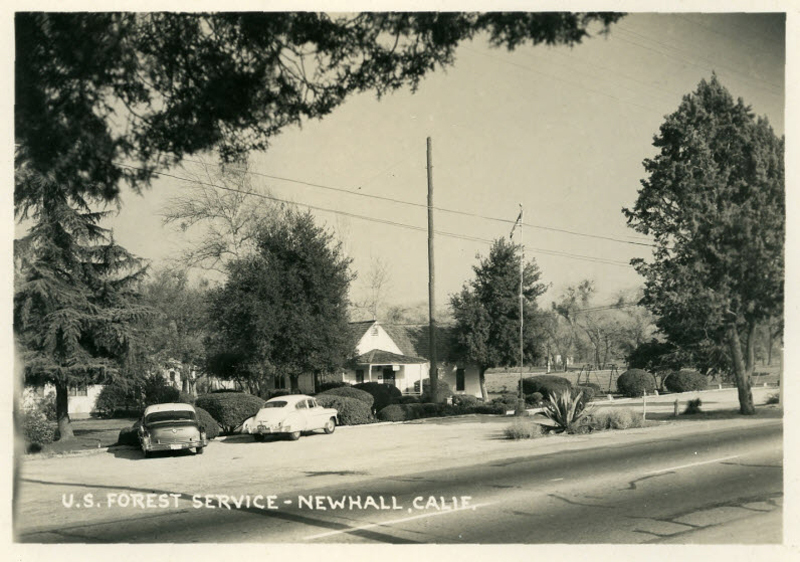 USDA Forest Service Ranger Station, Newhall, ~1950s. Real photo postcard. Located at 23610 San Fernando Road, later called Newhall Avenue. Apparently in 1975 (further research needed), by which time the original building was long gone, the federal government transfered the property to Caltrans, and in 2010 the City of Santa Clarita purchased it from Caltrans for the appraised value of $1.096 million with the intention of developing it into an affordable housing complex. The redevelopment deal didn't materialize; the city was left with the property and turned it into the Oak Creek Park & Ride. Prevailing state law restricted the sale of Caltrans property to affordable housing or transportation uses only. As of 2014, there are no structures on the property and the street address no longer exists (it's a vacant park-and-ride lot). UPDATE: Affordable housing project opened on the site Oct. 18, 2017. This site also was the predecessor to Los Angeles County Fire Station 73, and it was County Fire's first home north of the Newhall Pass (before it was the Fire Department). According to Station 73 Fire Capt. Paul Peppard (2014), the county Forestry Department (LACoFD predecessor) shared space in the original 1923 USDA Forest Service building from 1923 to 1928(?) when the county Forestry Department moved to its own facility up the road, approximately at Fire Station 73's current location (then it was 1457 San Fernando Road; it was renumbered and renamed 24875 Railroad Ave.). In turn, the county's 1928 building was razed in the 1950s and replaced with a more modern facility on the north side of the property (the current station). 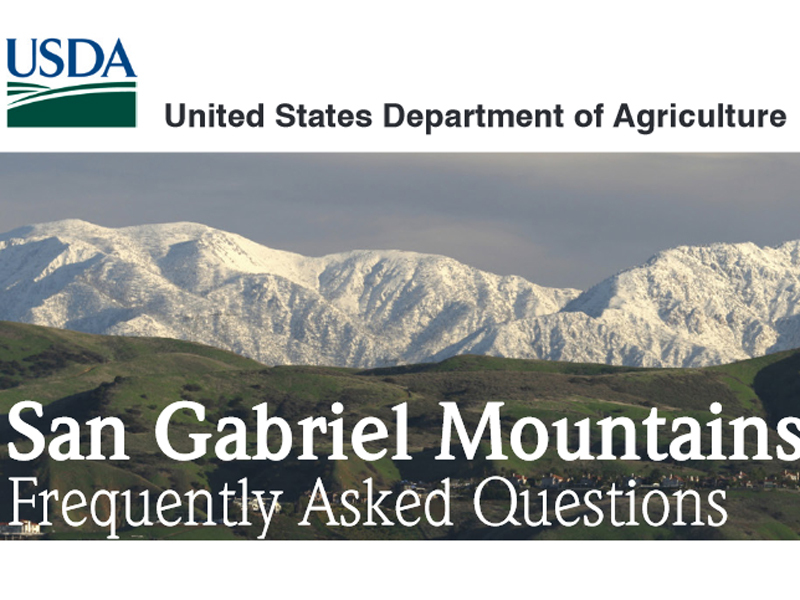 From 1923 until 1953, at which time the station was numbered "73," it was known as the Soledad Division Headquarters and was initially responsible for all of the territory from the Santa Clarita Divide on the south to Ventura, Kern and San Bernardino counties on the west, north and east. AL1958: 9600 dpi jpeg from 300 dpi jpg of original RPPC.